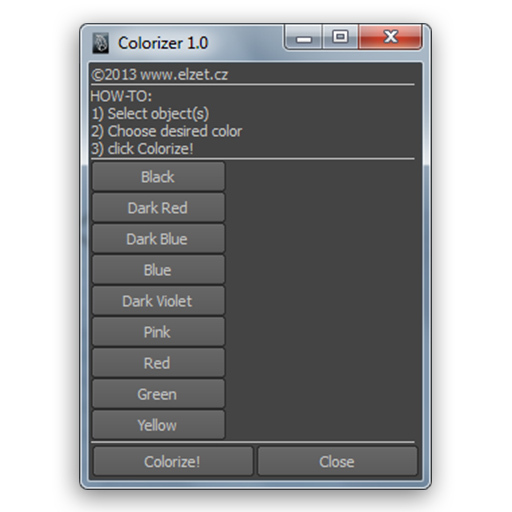 Colorizer is a simple script allowing quick and easy setting of an Object Drawing Override. Colorizer is a simple script allowing quick and easy setting of an Object Drawing Override. 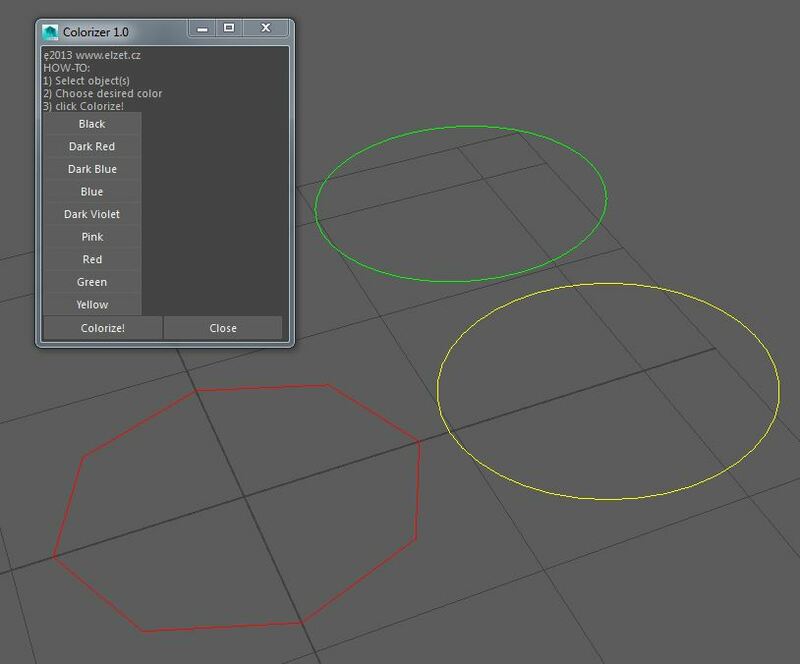 For any number of selected objects it enables Drawing Override and sets color picked up from the list. Tested on Maya 2012 – 2018 but should run on any version.